Hu Ge and Tang Yan once again collaborate (since Chinese Paladin 3, Fantasy Zhu Xian mini-commercial) in a new modern drama titled “Unbeatable’ (无懈可击之高手如林) The series is set to broadcast on 6th August 2011 on SETV! 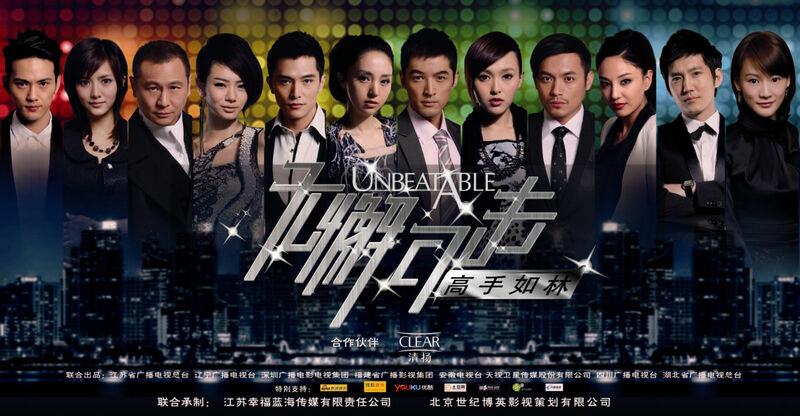 Starring Hu Ge, Tang Yan, Roy Qiu, Dong Xuan and Qi Wei, Unbeatable is a tale of a battle of high level executives. Hu Ge plays the sales executive manager who was tricked into losing everything by his business partner. Lost in a world of despair, it was eventually a cheerful Internet writer Tang Yan who re-awakens him. The two then set on an adventure to help him regain his empire, and perhaps even find true love in the process. What do you think of this drama? Are you excited? !~ Drop a comment and let us know!